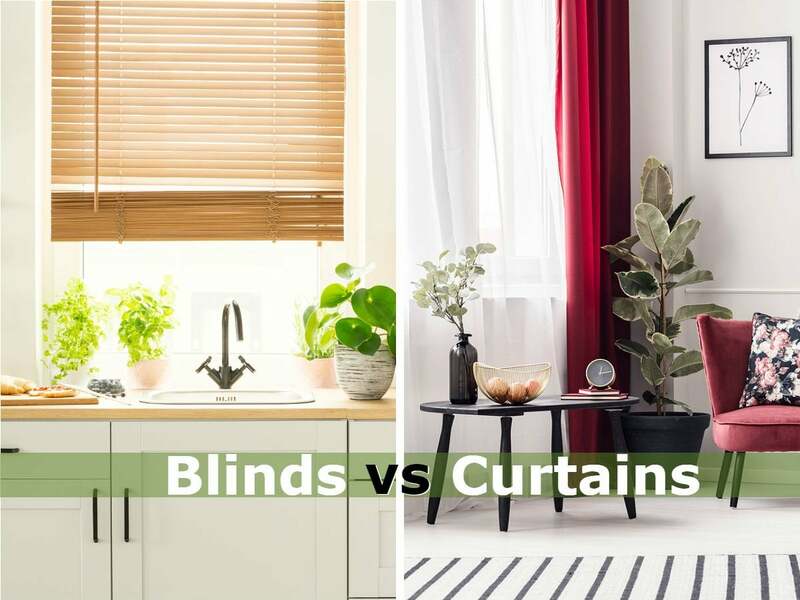 Understand the differences between curtains and blinds to determine what’s right for your light control, insulation, and privacy needs—as well as your décor and budget. Window treatments let you control light, privacy, and indoor temperature while complementing your décor. 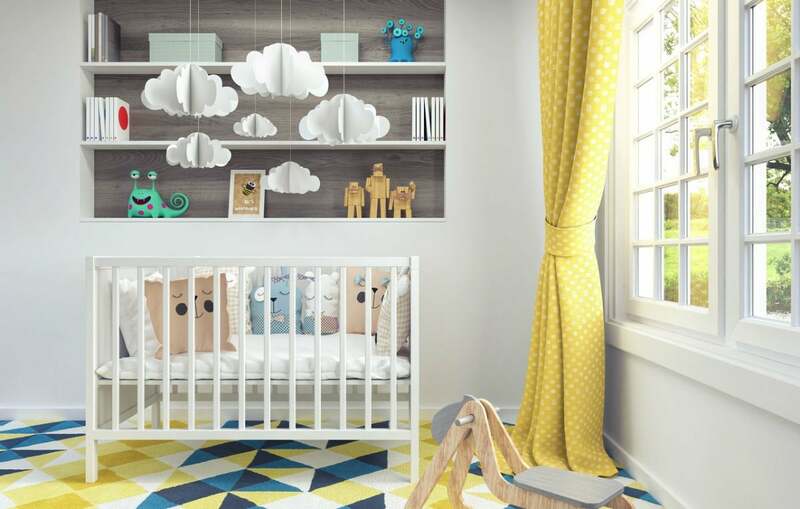 While you’ve got a variety of options to choose from, blinds, which feature movable slats, and curtains or drapes, made of fabric panels, are among the most popular. Blinds and curtains each come with particular benefits and drawbacks. 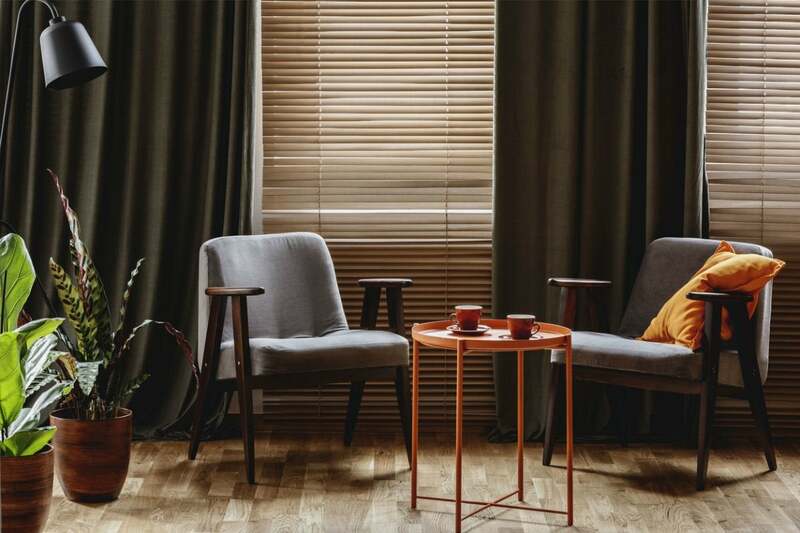 Ahead, we’ve put the two head-to-head—blinds vs. curtains—and outlined six key differences to help you decide which window treatment will be a winner in your home. Blinds are generally less expensive. Blinds require less material and time to manufacture and take less time to install. 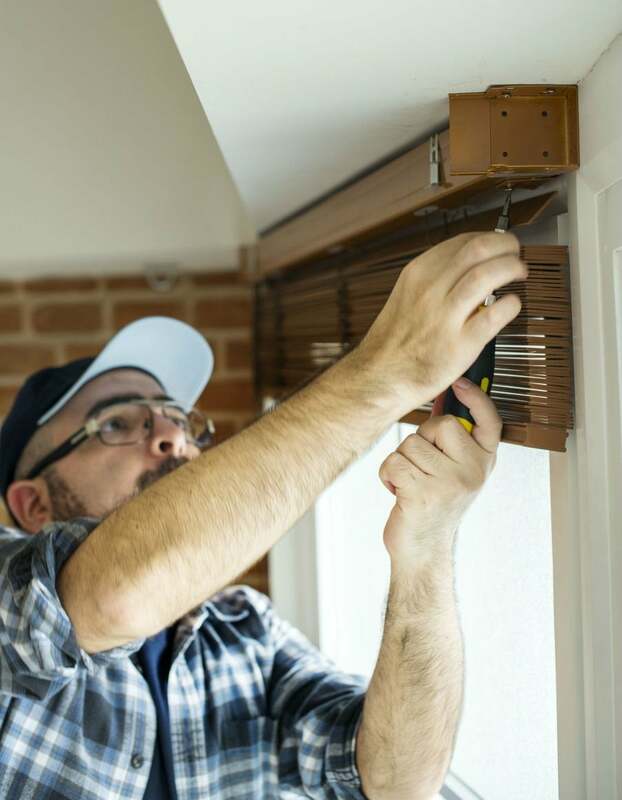 In 10 to 20 minutes, a pro can put brackets in a window frame, mount the blind, and attach the mechanisms that move the slats, at a total cost of between $43 to $94 per window. Plastic blinds will lower your material costs, whereas wood and high-quality vinyl blinds will increase them. For eight windows, roughly the number found in two large living areas plus two to four bedrooms, that adds up to between $345 and $750 for blinds. Curtains are usually pricier—from $50 to $250 per window, or $400 to $2,000 for eight windows—because they take more material and time to make, and more time to install. A pro will take an hour or more to install level brackets above the window, slide the panels onto the rod, hang and secure the rod onto the bracket, and then style the curtains in an attractive arrangement. To reduce costs, choose cotton curtains over linen or silk. Blinds offer more light control options. The slats on blinds, situated either vertically or horizontally (known as Venetian blinds), can be operated in two ways for light control. Pulling the lift cord that hangs from the top lets you lift and lower Venetian blinds, and move vertical blinds from one side to the other. You can also twist the tilt wand (a long, stick-like apparatus) to rotate the slats, changing the angle at which light enters. While blinds offer more ways to control light, their slatted design means that some light will enter even when the blinds are fully closed. When curtains are closed they block virtually all light. Blinds are easier to clean. Blinds have a hard, slick surface, so dusting them with a microfiber cloth is quick and easy. 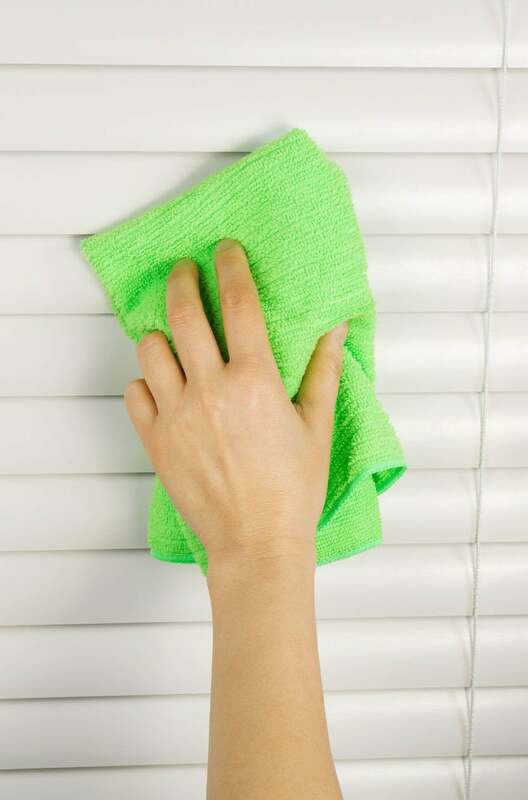 To remove dust from both sides of blinds, close the slats and wipe with a duster from the top down or from one side to another, then rotate the slats 180 degrees and repeat in the opposite direction. To get rid of stubborn dirt and stains, moisten a soft cloth with plain water or a mixture of 25 percent white vinegar and 75 percent water, wipe down the front and back of the slats, and then use a fresh cloth to dry. Cleaning curtains is a bit more involved. To remove dust, vacuum top to bottom with a dust brush attachment. Banishing dirt and stains requires spritzing the soiled or stained areas with a mixture of 25 percent white vinegar and 75 percent water, a store-bought stain pre-treatment solution (e.g., Shout Advanced Stain Remover, available on Amazon), or (for mold) a solution of one part bleach to four parts water. Let the solution dwell for a few minutes, then machine-wash one or two curtain panels at a time, according to the care label, and air-dry to prevent shrinkage. Iron as directed if necessary. It’s not unusual for well-maintained blinds to keep their looks for 15 years or more. Blinds’ synthetic material, be it plastic, vinyl, aluminum, or polymer-coated wood, makes them resistant to discoloration and staining. They’re also more rigid and rugged than curtains, so less prone to everyday wear and tear. Fabric curtains, be they cotton, linen, velvet, or silk, are more prone to tearing, staining, and molding, so they often need replacement within a decade. Curtains offer better insulation and soundproofing. Both curtains and blinds can increase the overall insulation of your windows to help maintain heat, resulting in lower utility bills in cold weather. But curtains, because they lack the slats through which heat escapes, have been shown to reduce heat loss by up to 37 percent during chilly months, compared to the approximately 14 percent heat loss reduction you might get from blinds. The thicker the curtains or blinds, the more insulating they are, with thermal curtains that have acrylic foam between the layers of fabric and honeycomb blinds, with their honeycomb-shaped grid of air pockets, being the most insulating. In warm weather, however, blinds beat curtains in energy efficiency. Because blinds leak more heat from a room, they also decrease indoor heat gain more efficiently in the summer, by around 45 percent, which can lower your AC bills. Curtains, which leak less heat, reduce indoor heat gain by only 33 percent in the summer. Both curtains and blinds also aid in sound absorption to keep out neighborhood noises. But curtains, especially those made of heavyweight, tightly woven fabrics like velvet or velour, perform better than blinds because they’re thicker and lack slats through which sound enters. Curtains offer more design possibilities. 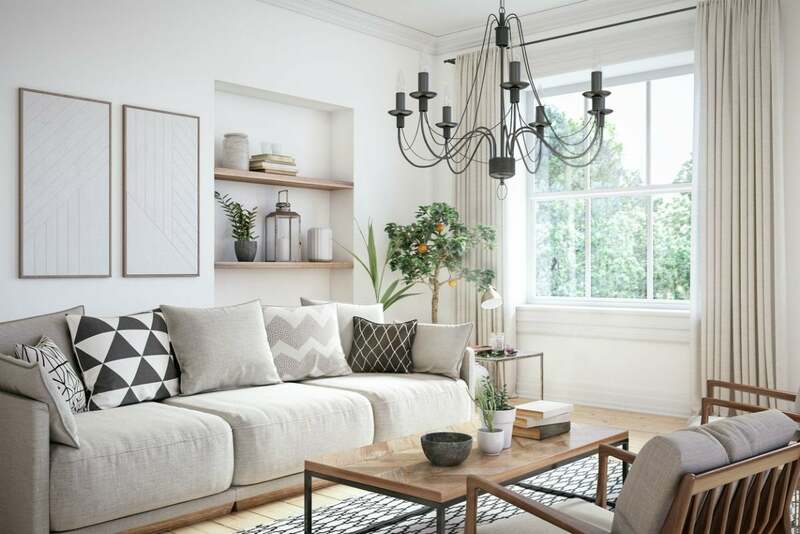 You’ll find curtains in a wider variety of materials, textures, styles, colors, patterns, and levels of transparency, from geometric-inspired cotton curtains to sheer silk curtains. They work well in rooms with classic interior design styles, be it French country, mid-century modern, or Hollywood glam. Curtains are also DIY-friendly for folks skilled with a sewing machine. Blinds tend to come in a narrower range of materials and styles and only in solid colors; this minimalism makes them better suited for the modern look of the Scandinavian, industrial, and coastal interior styles. Pair the two window treatments to maximize the benefits. To gain the benefits of both curtains and blinds, feel free to install both. Consider, for instance, curtains in low-moisture areas where mold isn’t an issue, such as living rooms and bedrooms, to maximize your design options, insulation, and soundproofing. In high-moisture rooms like the kitchen or master bath, where mold growth is a concern, install blinds for a durable, easy-to-clean window treatment with a high degree of lighting control. 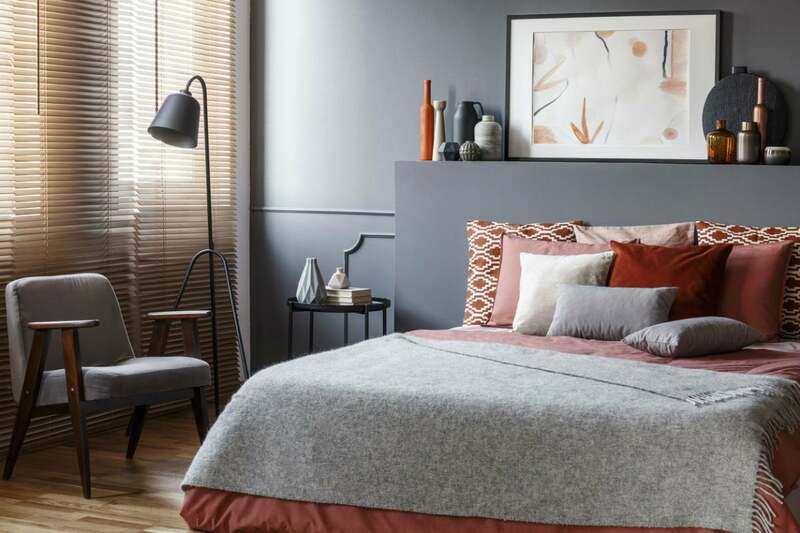 You can even layer the two treatments in a single room to boost privacy and create a more intimate setting, installing the blinds first, then hanging curtains on a rod.